Looking for bulk email software programs for your email marketing campaign? Well, no doubt these software programs are always a great thing for the email marketing campaigns but then you must be looking forward to knowing about the best options in the market. Much to your convenience, we have listed here some of the best bulk email software programs that would be helpful for your promotional campaigns with emails. Read on to know in detail about them. Big Mass Mailer is one of the popular bulk email software platforms today that is designed to import mailing list for your email marketing campaign in simple plain text and that too with one email on every line. You will be able to send one mail to everybody on the list. You are getting a very innovative edgy Saas program here that allows all businesses to effectively send & track marketing and transactional emails as well as SMS messages. It comes with an intuitive simple interface which makes it easy to operate for both beginners and tech geeks. 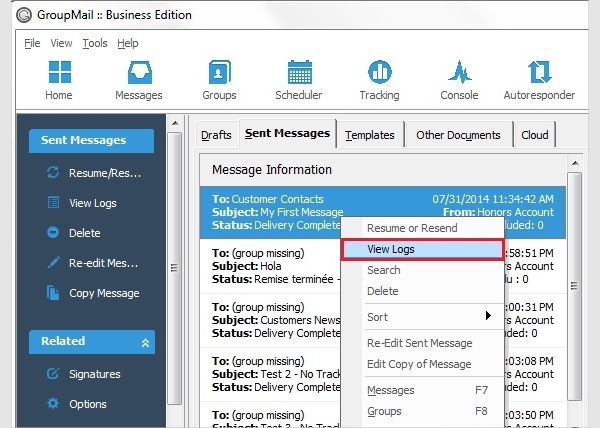 It’s quite a handy tool for the newsletter creations & contact management. 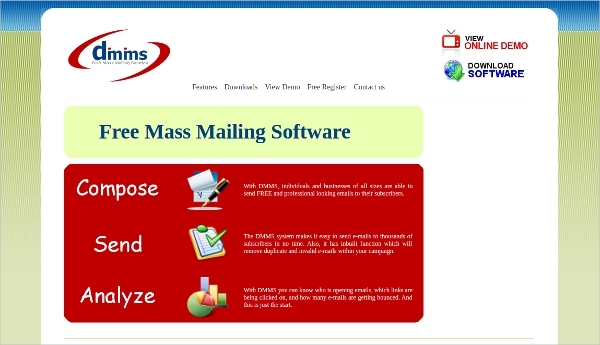 Bulk Mailer software is another great name here which is equipped to design as well as send & monitor the bulk messages. It has its own in-built SMTP server which allows it to send mass mail messages straight to recipient’s mailbox. 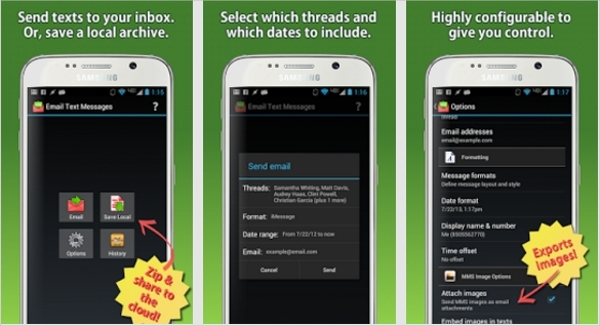 It makes email list management easier and permits personalized HTML email messages. You have one of the best email marketing software program here that works for both SMEs & big businesses. It allows you to send personalized bulk email fast with the promise of a professional and pulling touch to every message. As it will rotate the IP with the proxy servers, there is no risk of getting blacklisted. Thunder Mailer comes with a fantastic Message Editor that enables you to create & design attention-grabbing pulling emails in just minutes. Then, it also speaks of a powerful recipients’ email list management feature called Recipients Editor that can add & store unlimited numbers of email addresses. 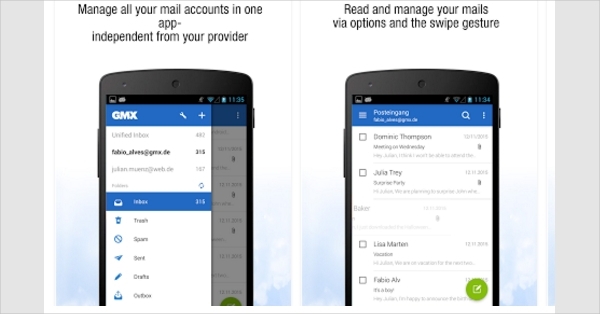 It can even clean out the bounced or duplicated emails. 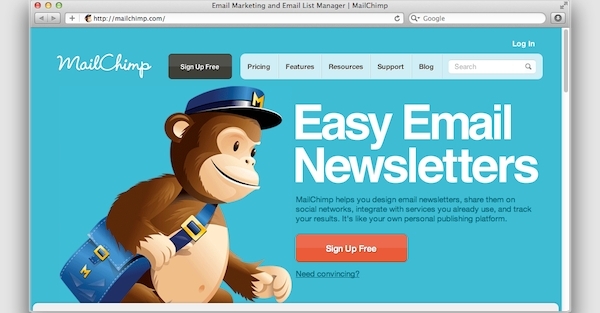 The list would be incomplete without the mention of MailChimp as its one of the most reputed bulk email marketing programs today. 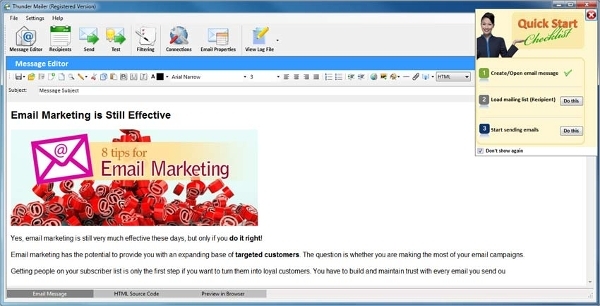 The software helps you to generate a custom newsletter or you can use one from its templates. 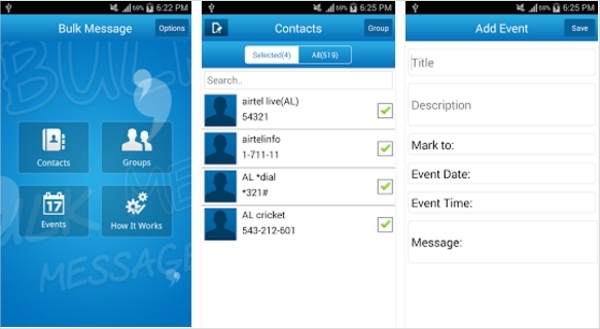 It will also categorize the user’s mailing list as per the different target audiences. DMMS enables businesses of any size to send professional-looking mails to subscribers completely free of cost and that too real fast. 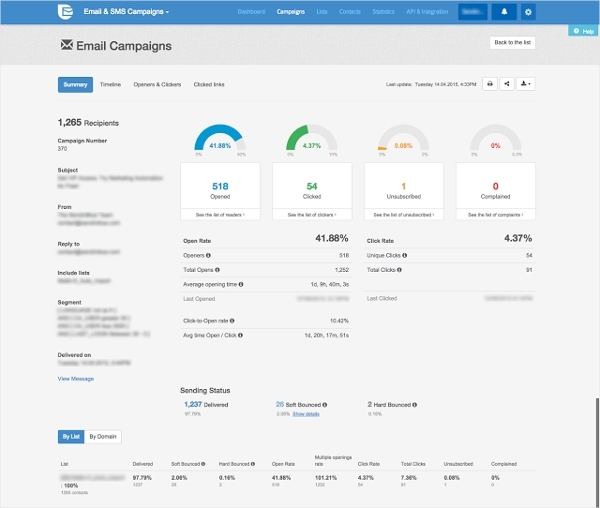 Besides, it can remove the invalid and duplicate emails in your campaign. It also comes with amazing analyzing capacity and hence can reveal to you the links that have been opened and clicked on. 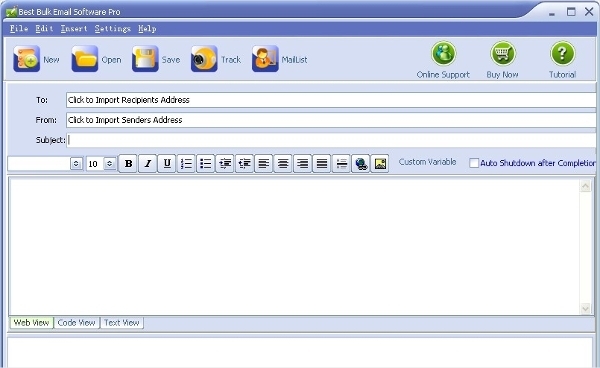 There are different bulk email software applications for various platforms. Your chosen one should match up with your system’s OS as otherwise it won’t work for you. Not all such software applications would work for all operating systems as there are some softwares that only work on Windows or Android or Mac. If you are looking for a reliable free Windows bulk email software, would be a good choice anyday. Backed by great features, the software will assure easy management of in-house email lists, creation of personalized messages like HTML newsletters, account statements, e-magazines statistics, reports, bills & send those to your target audience in just minutes. 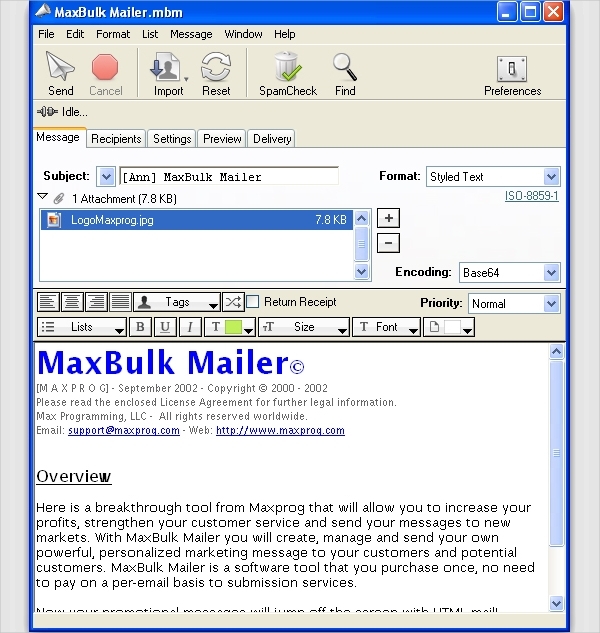 If you are looking for a reliable free Mac bulk email software, MaxBulk Mailer would be a good option for you. The software will enable you to create, manage & send your personalized promotional messages to all potential and existing customers in minutes. 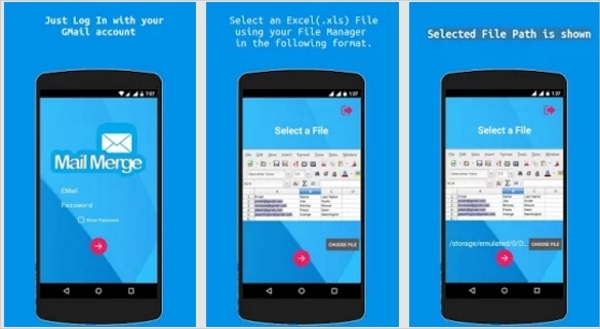 It works with HTML, plain text & any styled textual messages as well as attachments. It’s one of the best bulk mail software programs today to efficiently manage mailing lists & set mail marketing campaign easily. It will allow you to create newsletters & manage the email lists straight on the desktop. 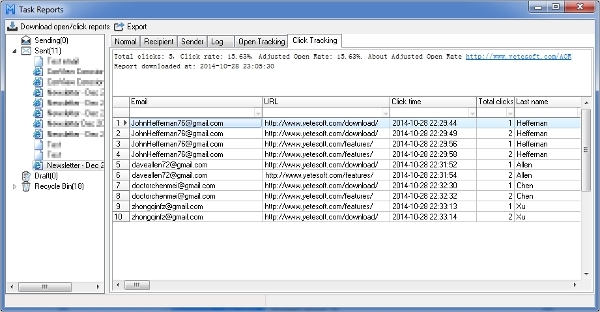 Then, you will also get a fantastic cloud-based email tracking service here with the software. 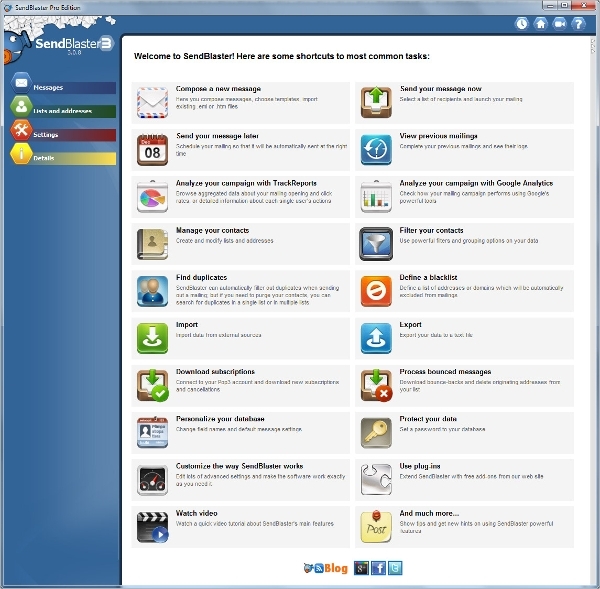 When it comes to most popular bulk email software for 2016, SendBlaster is the name for you. It makes mailing list management and setting mail marketing campaign easy like anything. The software is reputed to send mass emails in just a flash. There are 250+ email templates included and its latest editor will allow you to generate beautiful mail layouts. What is Bulk Email Software? A bulk email software is a software program that will enable you to send promotional messages in a bulk to your long list of email contacts. The bulk mailing application programs are normally used to facilitate opt-in advertising, maintaining easy communication with members of the same group, say clubs or churches, or for a blog post or newsletter distribution. The best ones in the market can even send up till 20,000 messages within just an hour. Many of them come with readymade templates to help you in creating pulling marketing emails as per your industry without you having to do the entire thing from scratch. How to Install Bulk Email Software? To install bulk email software, you will follow the Download link that comes with your chosen software. But before you actually download it, just check that it fits your system’s operating system. Then, as you download it, you will get the installation link that will come up with a complete guide on installing the application. Email marketing is an important way to promote your marketing campaigns over the digital world. But when you have to send your promotional messages to your long line of target email addresses, it’s always a huge workload. The primary benefit of bulk email software is that it works to send bulk messages to your prolonged list of contacts in just minutes, making the whole thing simpler and more convenient for you. Then, such programs can even remove the invalid and duplicate emails within the campaign which in turn reduces a risk of bounce rates. Many of them will also inform you about the status of your emails after they are sent. Bulk email software programs are no doubt a huge help for the email marketers as with it, they will have their bulk emails duly sent to desired contacts in minutes so that they don’t have to waste time and energy in sending them individually. All of them are really easy to use.